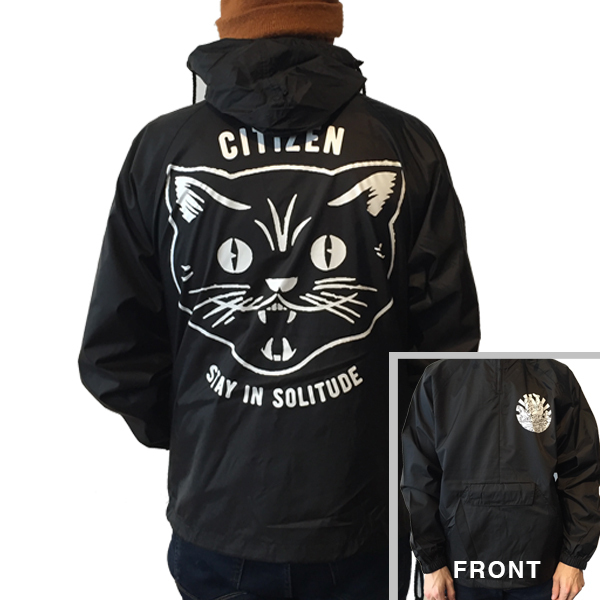 Black hooded, half zip windbreakers, featuring the classic RFC hand logo printed on the front in white ink, and the Citizen "Stay in Solitude" Cat logo printed in white ink on the back. Adjustable drawstrings on the hood and waist. Please note that sizes tend to run a bit large!